In 2000, the Nature Conservancy and the Association for Biodiversity Information reported that 58 percent of the area in the lower 48 states no longer supports natural vegetation. What’s more, 57 percent of all ecological communities in the U.S. are imperiled or vulnerable. World Wildlife Fund researchers reached a similar conclusion: 67 of 76 ecoregions in the contiguous U.S., they say, are in critical, endangered, or vulnerable condition. Given such obvious evidence of habitat change since historical times, one has to wonder how North America’s bird populations could not have declined. A few species, it’s true, have adapted. American Crow, Black Vulture, Yellow Warbler, American Robin, House Wren, Tufted Titmouse, Red-bellied Woodpecker, and Northern Cardinal have all seemingly done well, as have introduced pigeons, starlings, and House Sparrows. But an overwhelming number of birds have not. They are now species of conservation concern; many have been identified on formal lists. The best known, of course, is the list of species given protections under the U.S. Endangered Species Act. As of 2008, 89 species, subspecies, or populations of birds are on it. Seventeen (19 percent) are considered extinct or likely extinct, or exist only in captivity. First, only a few species have been given resources sufficient to bring their numbers to levels that would warrant removal from the list; most listed species have continued to decline, and many island-inhabiting birds have already gone extinct. For example, we will never again hear the song of the Kaua`i `O`o. 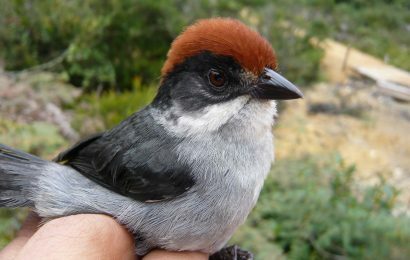 The last known survivor sang futilely for a mate until 1987, then the species disappeared forever — despite the fact that it had been listed as Endangered since 1967. Second, because listing under the ESA is a policy process, not a scientific process, many species that are endangered or threatened do not appear on the list. No doubt, the act is one of the most significant pieces of legislation ever enacted in the U.S. and remains vitally important to protecting species within a changing political context, but it has never included all endangered and threatened birds under its protective umbrella. Perhaps the most widely accepted, scientifically derived list of globally endangered and threatened birds is that published by the International Union for the Conservation of Nature. 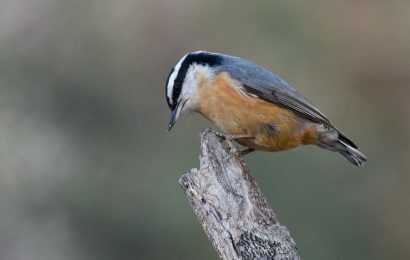 Administered by BirdLife International, the IUCN list (better known as the Red List) contains only species that meet one or more strict criteria. For example, species that have shown a well-documented decline of 80 percent or more in the last 10 years or whose entire population consists of fewer than 250 adults are included as Critically Endangered. Those that have declined by more than 50 percent in the last 10 years are considered Endangered. Thirty-seven species that occur regularly in the continental U.S. and Alaska were listed as Critically Endangered, Endangered, or Vulnerable on the 2007 Red List. Of them, 23 (62 percent) are not listed under the ESA. Other groups use different methods to create their lists. 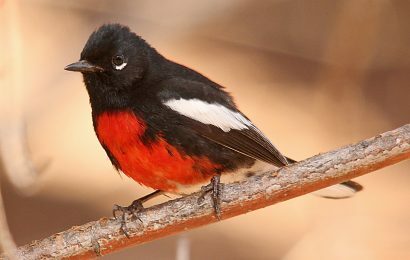 Audubon and the American Bird Conservancy, for example, combined research from the conservation community with citizen-science data from the Christmas Bird Count and Breeding Bird Survey to identify 176 species from the continental U.S. and 38 from Hawaii (20 percent of total avifauna) that are in need of immediate conservation help. The organizations published their findings in the 2007 Audubon WatchList. In 2002, the U.S. 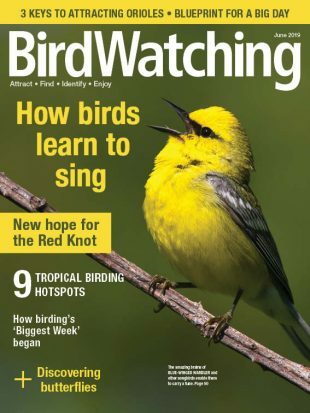 Fish and Wildlife Service released its Birds of Conservation Concern list, which included 131 species at the national level (12 percent of total avifauna, including Hawaii and Pacific Islands) and 275 species at both national and regional levels (26 percent of total avifauna, including Hawaii and Pacific Islands). The 2004 Partners in Flight National Watch List included 100 of 448 landbird species found in the continental U.S., Alaska, and Canada (22 percent). The U.S. Shorebird Conservation Plan in 2000 rated 44 of 50 regularly occurring shorebird species (88 percent) as being of conservation concern. The 2002 North American Waterbird Conservation Plan rated 106 of 150 waterbirds (71 percent) as being of conservation concern (including those species for which information was sufficient and including species from parts of the Pacific, the Caribbean, Mexico, and Central America). Taken together, the various lists of birds of conservation concern in North America include more than 500 species. Clearly, the overall health of bird populations in North America (and by extension, our overall environment) is substandard — and the recent weakening of environmental policies in the U.S. will certainly result in further declines of many birds, thus squandering natural resources that are a birthright of our children. But we are fortunate to have large numbers of people interested in restoring and protecting bird populations and the habitats they depend on. To be sure, for the Labrador Duck, the Carolina Parakeet, and the Passenger Pigeon, it is too late. My Great Grand­father Read could have taken his young daughter Beatrice to see Martha, the last Passenger Pigeon, before it died at the Cincinnati Zoo in 1914. My Grandmother Beatrice could have taken her young son to Louisiana in 1944 to see the last known breeding pair of Ivory-billed Wood­peckers. 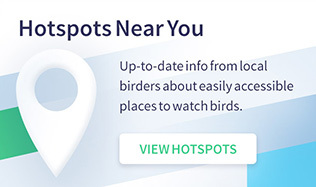 But my father would never have the chance to show me these birds. Nor would he get to take me to see the last Bachman’s Warbler or the last Eskimo Curlew on Galveston Island, Texas, in 1962 — two years before I was born. My own son also will never see these creatures, except (let’s hope) maybe an Ivory-billed Woodpecker, but he has learned to identify a Bald Eagle when one perches near our house in Maine. Because of positive environmental policies like the ESA, Clean Water Act, and Clean Air Act, and because of government agencies like the Environmental Protection Agency and the U.S. Fish and Wildlife Service, among others, the bird is now common in many parts of North America. My son will see a California Condor soaring over Big Sur, California. He will see Whooping Cranes dancing on the Texas coast. 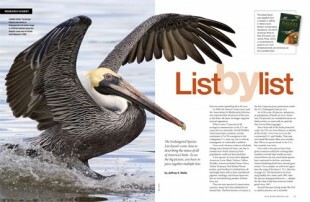 And he will see Brown Pelicans diving for fish off a Florida beach. 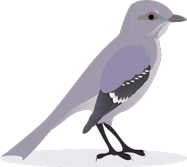 But will there still be a Florida Scrub-Jay in the sugar-sand oak thickets of Florida for him to show his own daughter or son? The successful restoration of the Bald Eagle, Brown Pelican, California Condor, and Whooping Crane shows us that it is possible to improve the health of bird populations — but only if people, regular people like you and me, get involved. So speak up, buy recycled, save energy, take a child birding, vote for candidates who care about the kind of home we leave to future generations. Start a project to save habitat, restore a grassland, or reduce levels of harmful chemicals in your watersheds. Do whatever you can so our children will have healthy air to breathe, clean water to drink, and thriving birds to show their children. Jeffrey V. Wells is senior scientist for the Boreal Songbird Initiative, visiting fellow at the Cornell Lab of Ornithology, and former director of bird conservation for the National Audubon Society. He is the author of the books Important Bird Areas in New York State (National Audubon Society of New York, 1998) and Birder’s Conservation Handbook: 100 North American Birds at Risk (Princeton, 2007). He received the 2008 Partners in Flight National Award in recognition of his decades of bird-conservation work.